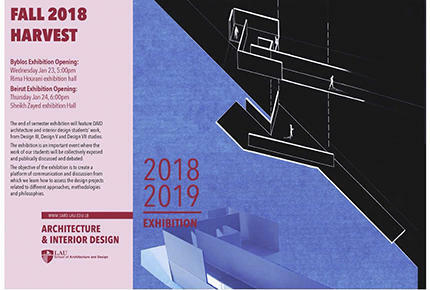 The end of semester exhibition will feature DAID architecture and interior design students’ work, from Design III, Design V, and Design VII studios. The exhibition is an important event where the work of our students will be collectively exposed and publicly discussed and debated. The objective of the exhibition is to create a platform of communication and discussion from which we learn how to assess the design projects related to different approaches, methodologies, and philosophies.